A St. Paul homeless encampment where around two dozen people have lived since last spring was cleared Thursday. Police, social workers and volunteers worked with campers to pack up tents and possessions below the Cathedral of St. Paul and along a fence above Interstate 35E. 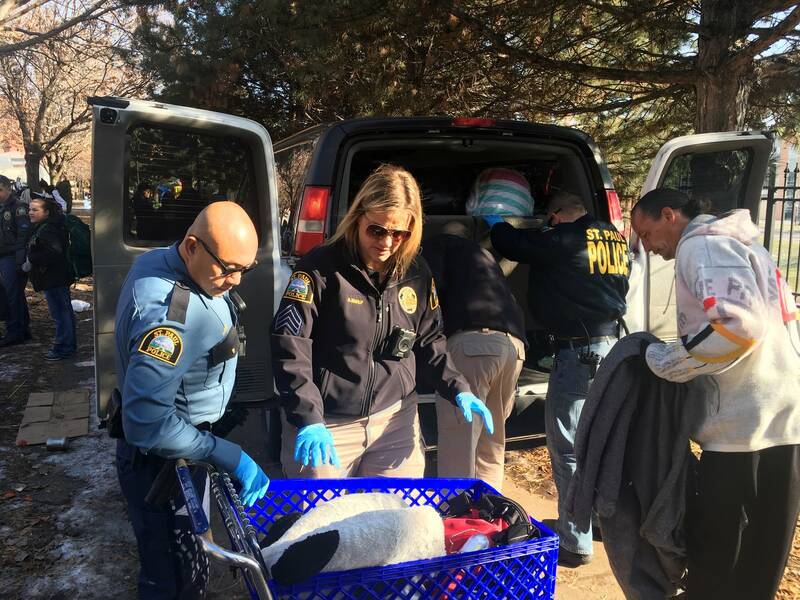 Darell Patrick and his fiancee spent Thursday morning sliding their folded blankets and clothing into plastic bags. "This is everything we own right here," Patrick said. 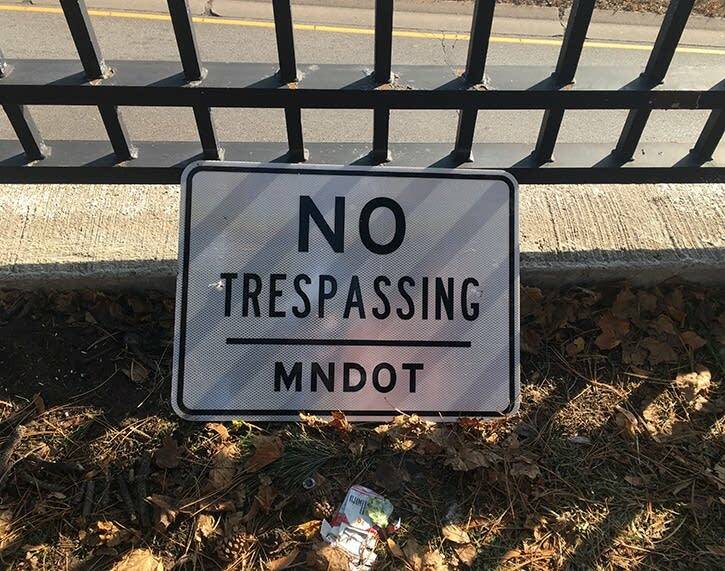 On the cleared site, MnDOT posted no trespassing signs. Social workers described options to the campers. But Patrick was wary of moving to a shelter. "At this moment we're packing up, I have a storage place, we're going to put this in storage," he said. "We'll probably be riding the trains tonight, all night, until we figure out a place to go." Ramsey County and city crews cleared and cleaned the St. Paul camp on a weekly basis. But now campers are not permitted back. "The operational maintenance of this site is no longer tenable and again, it truly is not safe for people to be camping. Many of these folks are not prepared for that level of outdoor living and we don't want anyone to perish," said Ricardo Cervantes, the director of the department of safety and inspections for the city of St. Paul. "We're not here to flex our authority muscles, but rather we're here to ensure that people have options, that there's a place for them to go and that they're getting connected to the right resources so that they can take advantage of that." 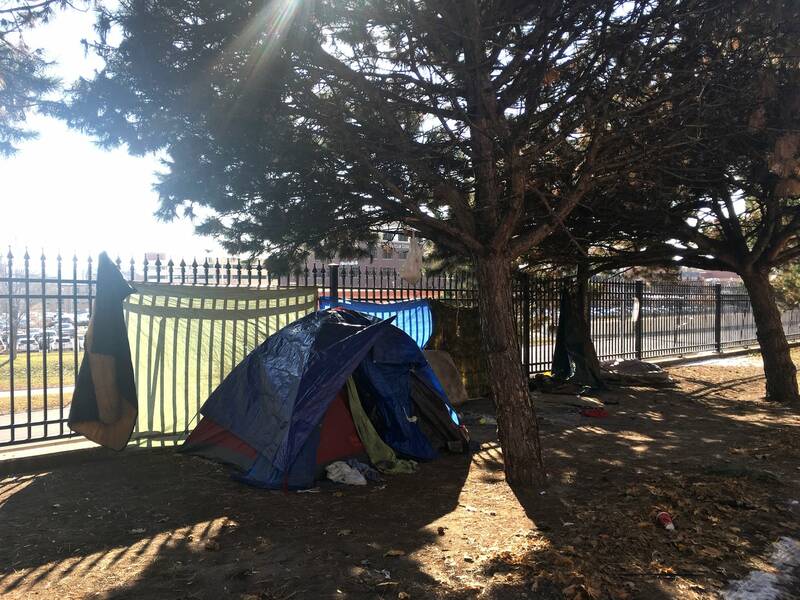 The temporary winter safe space opened early for the campers is in a former detox center, which opens each night at 10 p.m. and closes at 9 a.m. All those kicked out of the encampment were given referrals to the shelter for the next seven days. There's room for 64 people. Some social workers worried they might have a harder time tracking clients who moved away. "We support the closure of the camp. We support it because we know this isn't a safe solution to the really urgent regional issues that we're facing in terms of shelter and housing," said Chris Michels, a senior program manager with Catholic Charities. She said the encampment is really a symptom of a lack of affordable housing in the region. "If we're going to really be successful in ending homelessness, we have to get past the point of treating the symptom," she said.